That being said, I have got new books and new sources and so on since so I thought I would revisit this seasonal topic anyway, possibly focusing more on the mistletoe instead. Holly is a plant of lightening, eternal life and the White Goddess (before it was co-opted by Christianity). The berries, being scarlet, could be used to repel witches and Pliny the Elder went a step further and said that holly trees around the house prevent sorcery. Self seeded holly plants would bring good luck as well as protection from storms and fires. There are two kinds of holly, the male prickly version and the female smoother type, and according to a Derbyshire tradition, they should be brought into the home at the same time. This would ensure that the year ahead would be prosperous. If you accidentally brought the male holly in first, the master of the house would have absolute rule in the year ahead and if you brought the female holly in first then the mistress would be in charge. Despite this, there is also a tradition that says that holly shouldn’t be brought indoors at all. Whether you decorate your house with holly or not, you shouldn’t harm a holly tree. One explanation is that holly was the tree on which Jesus was crucified and so hurting the tree would lead to his blood and tears flowing out of the wound. Another is that holly sprang from Christ’s footsteps. Holly is also said to be representative of his crown of thorns, the red berries his blood and the white flowers a reminder of purity and his virgin birth. Like holly, ivy has a mixed reputation. 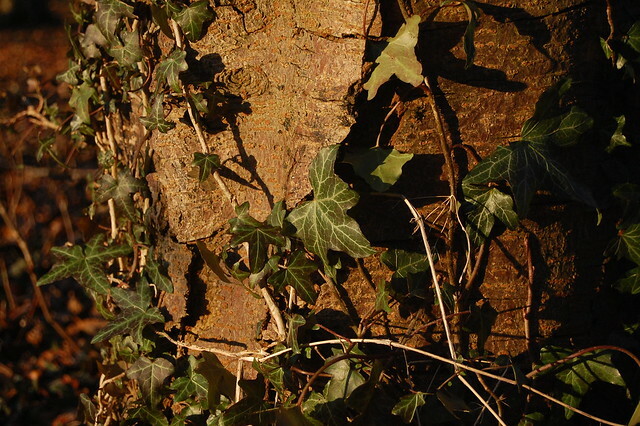 During the 19th and 20th century, some people considered it unlucky and wouldn’t bring it into the house at any point in the year, possibly because ivy is associated with graveyards. Other uses for ivy in divination include popping a leaf in your pocket before you leave the home and the first male you see will be your future husband. Ivy can also be used to foretell death. Ivy leaves have been recommended as a cure for various ills including corns which could be treated by wrapping the leaf around the corn. Cups made out of ivy wood were thought to cure whooping cough. Ivy was said to be sacred to Dionysus and Bacchus, gods of wine, and thus was hung outside inns to show that good wine could be found there. Ivy growing on a home would protect the inhabitants from witchcraft although if it starts to wither, watch out for disaster, infertility, infidelity or financial problems. The toe of mistletoe meant twig and mistel may be connected to the Germanic word for dung… Possibly because a common belief was that mistletoe didn’t grow from seeds but instead was the result of bird droppings, because it only grows high in trees and never on the ground. Moving up a little in the oceanic plant world, we get to algae. There are two categories, micro algae which are, as they sound, tiny, and macro algae which is where seaweed fits it and is what I’ll be looking at. We tend to think of seaweed as the annoying, slimy stuff which litters the beach and wraps around our feet as we try to paddle in the sea but seaweed is a very diverse term. In general, seaweeds need saltwater, light to photosynthesise and somewhere to hold onto. Algae are used in so many ways and can be found all around us. In the late 17th century it was discovered that soda and potash (important to the soap and glass industries) could be extracted by burning kelp. Today, we find algae in cosmetics, in soaps, in paints, as fertilisers, in foods as well as as a food item itself for both humans and animals. Like with other marine life, algae may also have useful scientific properties. For example, some have developed protection from UV light and understanding the process and chemicals involved may help develop new protective products. Algae can also help open our eyes to other ways of being, pushing our thinking, our expectations and our world view. As a species we are terrestrial centric and macro centric, focusing heavily on land based large species such as trees and lions but there is so much we can learn from other species, including the under appreciated algae. And talking of underappreciated… Seaweed allowed women to carve out a tiny niche in the scientific world in the 19th century, a realm dominated by men. Whilst the hobby of collecting seaweed can be traced back to the 17th century, it grew in popularity in the 19th century. And in doing so, it created space for women to engage in science and, to a limited extent, to contribute to science. Griffiths was an ‘amateur professional woman of science’ who specialised in collecting seaweed and who raised awareness of the diversity of marine plant life in Devon where she lived. Her reputation proceeded her and a species of red seaweeds was named for her in 1817. She was also able to correspond with leading algae experts which I suspect was a significant honour in her day. Gatty was a children’s book author who took up seaweed collecting when she was convalescing by the coast in 1848. She eventually published an illustrated field guide to British seaweeds, an endeavour which took 14 years and included 200 specimens. However, instead of placing herself as scientist, she framed herself as interested in seaweed because it was an expression of God creating beauty in nature. She would also use her children’s books to preach this message, teaching that god and nature were not to be treated separately and she argued against Darwin’s theory of evolution. Like Gatty, Atkins published a book about seaweed but this is also of note as it was the first photo illustrated book ever. She used cyanotype prints to document different species and part one was published in 1843. Women still play an important role in seaweed collecting; in most developing countries, the majority of people involved in seaweed farming are women. In Zanzibar, for example, it’s estimated that 80% of seaweed farmers are women. The seaweed grown and gathered by these women becomes our toothpaste, food additives, shampoos and medicines. Definitely food for thought next time you find yourself on the beach getting tangled by its slithery ‘arms’! I’ve found this to be another fascinating topic. I was slightly concerned that there was going to be lots to think about when it came to animals and humans and significantly less when it came to plants. I’ve been proven wrong. Perhaps it’s obvious that since we are so connected, our lives so indebted to plants, there was going to be plenty of fruit to harvest. But again, that plant blindness has fooled me. If nothing else, my key takeaway from this month is the value of plants and how overlooked they are. I hope in the future, I see plants through a different eye, that I can learn more names and get to know my local plants more intimately. This has been something I’ve been working on very slowly this year but I’m terrible at remembering what things and people look like so it’s not coming especially naturally. But I feel I owe it to the plants, and to myself, to try. This month, looking at plants, is nearly at a close but before we head into December, I thought it would be timely to consider plants and Christmas. I’m not especially into Christmas but there is a lot of tradition surrounding it which can be interesting. Also, I’ve not yet looked at holly or ivy in my plant spirit posts and was already planning to, so this will kill two plants with one blog post as it were. According to the telegraph, the song relates to ancient fertility mythology and the association of the male with holly and good and the female with ivy and evil. Holly is a broad leaved, evergreen which is found in most of Europe. In Britain, it tends to grow as an understory beneath oaks. Holly is well known for it’s spines which are obviously there to deter predators, and less sharp leaves can be found higher up the plant. For those intrepid herbivores who still take a bite, the leaves contain bitter tasting alkaloids. It is a slow growing plant which can live for 250-300 years which has become iconic at Christmas time. It’s wavy edged leaves and prickly spines, glossy and rich green take a long time to decay. This may be one aspect of the holly’s nature which has contributed to it’s association with eternal life, with it’s evergreen demeanour being another. In the midst of winter, when all is dark and cold, the holly continues to rule with dignity, facing the challenging weather head on. Holly is considered masculine to the ivy which is feminine, possibly because the holly is spiky and defensive where the ivy is more graceful? Interestingly, the nature of the holly brought into the house is supposed to determine or predict whether the house will be ruled by man or woman in the coming year. The smooth edged type signalling a woman’s rule. Another tradition says the same but for holly and ivy, with the plant first brought into the house marking the future year. Holly was planted near homes as it was said to protect against lightning strikes. As with the oak, it is said to be associated with thunder and hence Thor. Bringing twigs into the house wards off evil spirits, which I imagine are particularly active in the dark nights of winter. Another seasonal link is found with the holly king who rules the year from mid summer to mid winter, when the oak king takes over. Whilst the tradition of bringing holly into the house goes back much further, Christianity has appropriated it as a representation of Jesus. Holly is said to be representative of his crown of thorns, the red berries his blood and the white flowers a reminder of purity and his virgin birth. Ivy is another evergreen plant and also represents eternity. It can grow in difficult environments and climbs upwards, using other plants, to reach the sunlight. Given enough time, they can also bind together other plants which has been taken to mean it is symbolic of unions, whether friendships or more. It can also mean fidelity and peace (as it brings together different plants). As we’ve just seen, ivy is considered feminine and apparently in Ancient Greek mythology, there was a dancing girl who danced herself to death, dying at the feet of Dionysus. He was moved by her dancing and transformed her into the ivy plant. Moving to Rome, ivy is said to be linked to the god of wine, Bacchus, Dionysus’ counterpart. I wonder if this is in part due to the way ivy grows in a similar way to grape vines? Don’t try eating ivy berries though… they’re poisonous. On Owlcation, Edith Rickert, who researched carols from 1400-1700, is referenced as noting that many holly and ivy carols existed during this time period and often involved a debate about the relative merits of men and women. If you’ve read some of my animal spirit posts, you’ll have realised that virtually everything is a symbol for an aspect of Christianity. Hence my cynical tone here is not about the religion, it’s about the shoehorning of symbolism. Mistletoe was thought to protect from evil and was also associated with fertility. Whilst we use it today for Christmas, it was thought to be bad luck to bring it into the house before New Years Eve. On a basic level, this makes more sense for the current practice of kissing under mistletoe, surely you want a new relationship to start as the year starts not as it dies? It was used in homes to protect from lightening and evil but because it is associated with paganism, it’s said to be banned from churches*, except York Minster. Here, it is laid on the high altar on Christmas Eve. Then a proclamation was made which pardoned and granted freedom to “inferior and wicked people”. I was intrigued when I read this. I know I have a number of particular trees from my childhood that I remember deeply and which were very important to me. But then I had a wood in my garden growing up. Do children without this access have trees they remember later in life? I suspect my school friends remembered my tree house, the trees they climbed when they came to play and running through the woods at night on bonfire night. But what about other children? I’d love to know, partly because it fascinates me, but also because, if we never get to know a tree deeply enough to remember them, how can we speak for them? To speak for trees may sound like a job purely for a treehugger. For an ardent activist. And yes, it might be, but it’s also a job for me, and a job for you. It’s a job for all of us. For politicians, voters, businesses, scientists, forestry people, walkers… We all need to speak for the trees, for what are we without them? But we cannot speak for a tree if we don’t know what it is telling us. We need to know our trees, deeply and personally. We need to read it’s bark like a memoir, it’s leaves like flags. We must hear from the plants and the animals and the birds that live in and near the tree, for without them, the voice is incomplete. It is easy to assume a tree can stand it’s own ground. They are personlike. They are sentinel, on guard. They are in many ways, like man with arms and legs and a head and a trunk. It is easy to assume that everything in a trees life is fine, that they are happy and satisfied. Their constant nature, the sense that they protect us can trick us into thinking they are ok. But to glance at a tree is not to know the tree. To glance at a tree is not to respect the tree. To glance at a tree is not to cherish the tree. Unless we get to know our trees, we cannot speak for them. These magnificent, seemingly unassuming, beings have much to offer us, if we just approach, and listen. Who should speak for trees? All of us. And yet no one. No one but she who has taken the time to listen. Author hejyorkPosted on November 24, 2017 November 7, 2017 Categories nature, WritingTags humans and plants, nature, nature writing, plants, treesLeave a comment on Who speaks for the trees? Of course, forests don’t just feature in fairy tales, we find them in nursery rhymes, poems, stories and folklore. 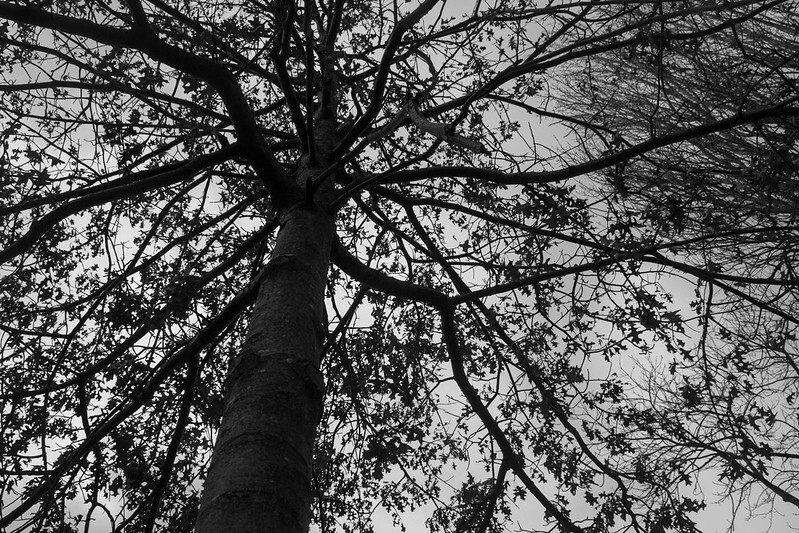 We have trees as metaphors, trees as symbols and trees with deeply embedded beliefs. Perhaps the most obvious tree metaphor is not being able to see the wood for the trees, but we also have family trees and deadwood and branches of study. As well as all the other plant metaphors. Not quite trees, but we have hedgefunds and we have leaflets. We have the tree of the world, the tree of life and the tree of knowledge in some form in most cultures. We have holly trees, ivy and fir trees to represent Christmas and tree hugging needs no explanation as a representation of environmentalism. Trees have made it into sayings and proverbs throughout the world. From a folklore perspective, we find trees as wise advisers, as teachers, as storytellers as well as gateways to other worlds. In Germany, it was said that babies came from hollow trees and elsewhere holes in trees were thought to be doorways to the spirit world. In some African cultures, trees can be seen as a connection between man and god. Trees are often markers and a number of traditions respect the trees as “standing people” who can offer help and to whom offerings are made. The Tree Ogham is an ancient druidic system of tree lore which is thought to have been used as a form of written communication. Each symbol is linked to a tree and contains within it a wealth of knowledge. For more about individual trees, or to get a sense of the wealth of information held in folklore about different species, have a look at my plant spirit posts. My tree oracle cards also give an idea of the depth of symbolic meaning you can find in trees. From Enid Blyton’s The Magic Faraway Tree through to The Day of the Triffids, trees are found in books and stories. Sometimes they are settings, sometimes characters, sometimes symbolic. In the legends of Arthur, Merlin is turned into a tree, a way of imprisoning a character by limiting their movement. Lord of the Rings has a cast of trees as does the land of Oz. Forests are often used, as in fairytales, to denote a dark, chaotic place, such as the forests which surround Dracula’s home and in Dante’s inferno. There are the forests of Macbeth and A Midsummer Night’s Dream. In her Wonderland travels, Alice finds herself in a forest. Forests are home to the Gruffalo and in the Wind in the Willows, the forest is a terrifying place to be avoided. And where would Robin Hood have been without a forest to hide in?! 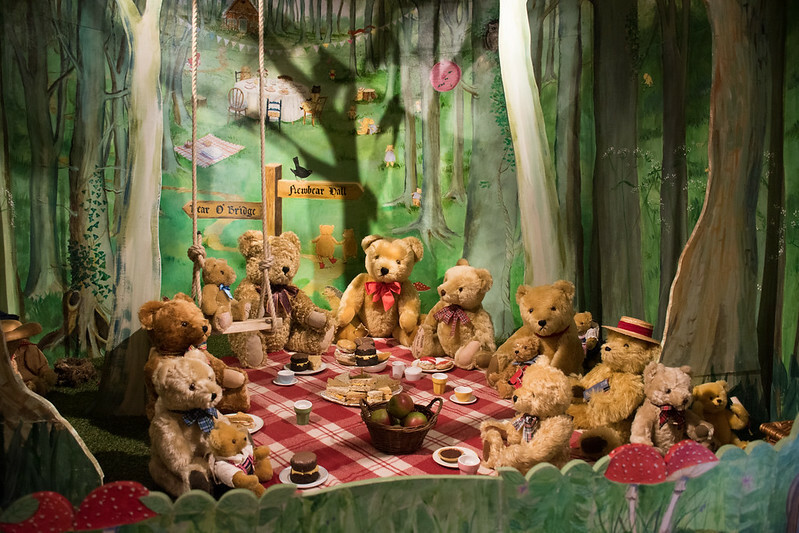 Of course, not all forests are malevolent, there is the much friendlier 100 acre wood, home of winnie the pooh where the bear himself resides in a tree and his little friend piglet lives in an oak. And Enid Blyton’s Faraway Tree is magical and filled with interesting characters. It is not just that forests feature in literature, it is that some of these tales would not be the same without the forest. There would be no testing ground, no space for initiation, no tricky challenge to overcome. There would be nowhere to hide from adult eyes and nowhere to be explored and conquered. For forests hide secrets and forests make it easy to hide in a way that most landscapes, with horizons that stretch to the clouds, do not. We have forests in poetry across time as well as in songs. If you go down to the woods today and I had a Little Nut Tree are just two examples of trees in nursery rhymes. We have Tie a Yellow Ribbon Round an Old Oak Tree, Black Horse and the Cherry Tree* and of course, all of the Christmas related tree songs. *Perhaps not the most obvious tree songs but I’m not very good at remembering song titles! How does the state of forests today affect these stories? Forests are changing, we’ve already seen that today’s landscape is very different to that of the past. And how we use forests and the type of trees within them is changing. That is to say, we are changing the very essence of the forests which are held within the tales we’ve looked at. What does that mean for the forests and what does that mean for the stories? 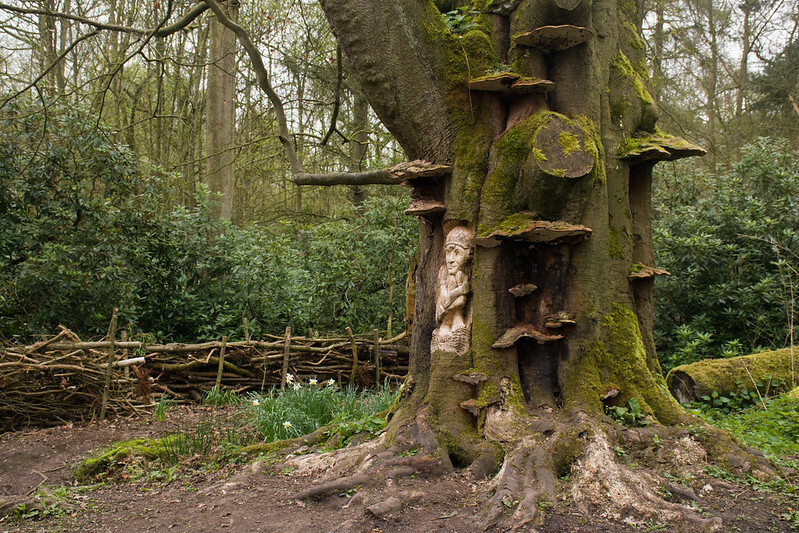 On the one hand, we have the argument that the forest still permeates our arts and lives and on the other hand, the idea that as ancient woodland disappears, so too does our cultural associations with the forest. The nature of fairy tales and oral stories means they do change over time, but we must be careful not to lose the forest of literature altogether. Perhaps take a moment and ponder, what does the forest mean to you? The literal and the fiction versions. How has one influenced the other for you? Despite individual trees bearing their own map of history, it is hard to find out much about the history of forests. It isn’t clear whether an old tree is the remnants of an old forest or whether it stood alone for a long period. What we do know is that the forests of England have changed a lot over time. 10,00 years ago – Following the ice age, forests of birch raced northwards, chasing the retreating glaciers. Pine and hazel followed, then oak, alder and lime, then elm and ash. And whilst we might think of oak as the quintessential English forest tree, it was lime which dominated. 9600 – 4000 BC – Mesolithic people cut trees down for boat building. Around 7000BC holly, maple, hornbeam and beech arrived in southern Britain, just before the land link to Europe disappeared and turned Britain into an island. 2300BC – AD 43 In the Bronze Age and the Iron Age, fire was increasingly important as a means of creating, not just for warmth and cooking. The Iron Age people also had better equipment for farming which meant more land could be cultivated and used for grazing. This meant trees were felled and forests were converted to arable land. 43AD – By the time the Romans made it to Britain, over half of the trees had already been cut down. 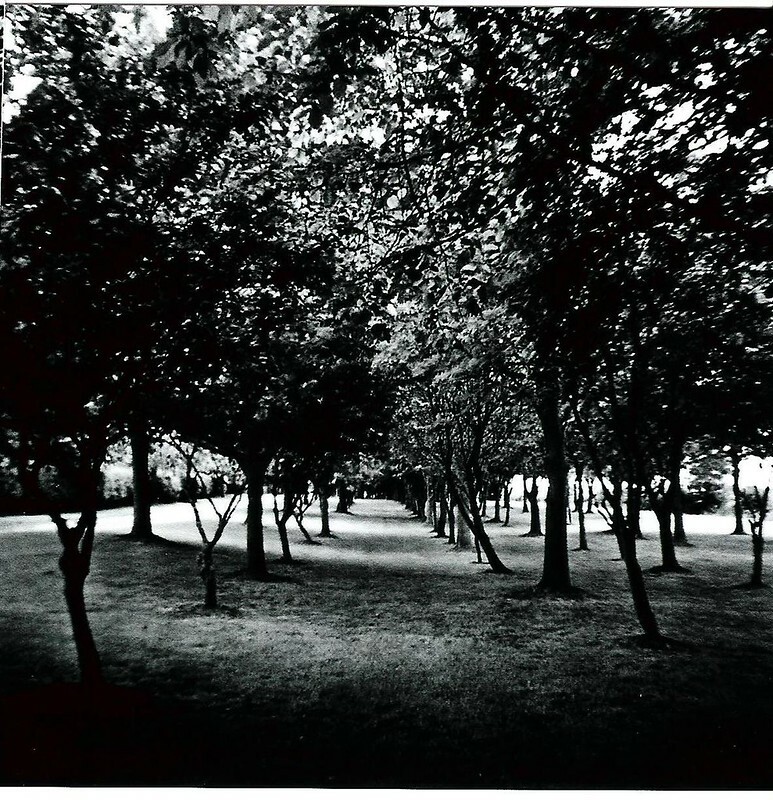 A Roman historian from the 1st and 2nd century wrote that the druid grove was “the centre of their whole religion. It is regarded as the cradle of the race and the dwelling place of the supreme god to whom all things are subject and obedient”. For the druids, trees were holy and venerated, sacred and respected. As Christianity came along, these places were increasingly considered to be part of old religions and at odds with the new beliefs. Fragments of old tree deities would seep through in the form of evil spirits. Forests and the church would battle against each other with the forests representing the last strongholds of the old religion and acting as a retreat from a church dominated world. As we’ve seen over and over again, this tends to result in the the symbol of the old ways being persecuted and tarred with associations with the devil and demons. With the arrival of William the Conquerer, came the Forest Law. This proclaimed that any land the crown fancied could basically be theirs. Primarily the woodlands claimed were for hunting and made it off limits to everyone else. Allegedly if you were caught stealing or killing from the forest, your punishment could include mutilation, including the removal of your eyes and other unmentionable parts. Whilst this did of course cause a lot of trouble, it did protect areas of ancient woodland from agriculture. And it provided a space where, as Sara Maitland puts it, “the illegal could become the heroic”. To resist the forest law wasn’t going to cause harm to your neighbours but was instead a crime against the institution. In the middle ages, villages and towns ate away at the forest and timber was used for fuel in the home but also in almost every industry – building, rope making, as fuel for furnaces etc. Forests were being portrayed in literature as places which harboured secrets and dangers, overgrown and unkempt. Wild places. Places of the unconscious. In 1717, John Manwood noted that “the woods were, by degrees, destroyed, especially near houses… wild beasts retired to those woods which were left standing, and which were remote.” Because of their distance from mainstream society, forests became places were outcasts went to live, those who were persecuted such as people with mental illness and disability. The forest was a place outside the law, outside of civilisation. By the romantic era, the idea of nature at odds with the church and hence problematic, had started to change. As we see in poetry of the age, nature was being revered and admired, but the forest remained mostly untouched. Writing focused on fields and streams and flowers whereas the forest was a place to be tamed in order to fuel the industrialisation of the day. By 1905, forests and woods covered just 5.2% of England, compared to 15% in 1086. And this would pose a problem. The first world war saw an increased need for timber for ships and England had come to rely heavily on imports. The second world war and increasing development and suburban growth has impacted further on forests. However, forest management and plantations mean that today we are seeing changes. 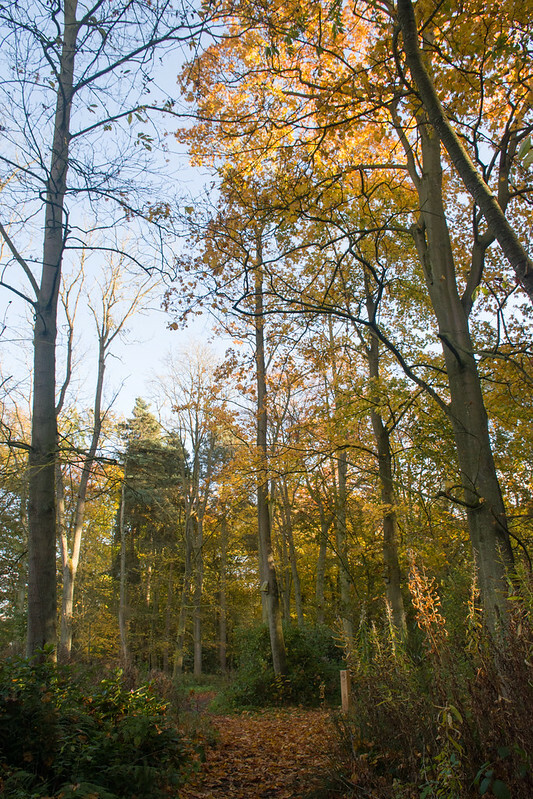 In 2011, the International Year of Forests, a report from the Woodland Trust said that England had 9.9% cover. Whilst this is low globally, it is a large increase from 1905. 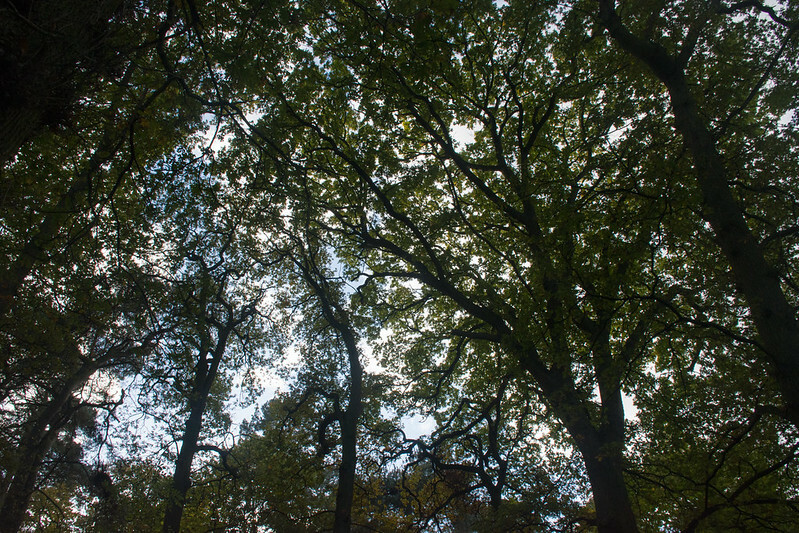 Whilst a history of forests might seem a strange topic, it is an interesting lens through which to consider history and it is important in shaping our thoughts and feelings about forests which in turn shape our stories, the focus of next time!